I desperately need how to 'separate' few lines. Here is my case. Our call centre serves few companies. An agent should handle calls for them. Since the configuration requires few telephone lines to be forwarded to an agent, how he/she should know to which company a client calls ? Right now if an agent receives a call he only sees the number which reaches him/her. My idea is the agent to be able to see whether the client has called the company A, company B or company C.
They use EyeBeam as a soft-phone. 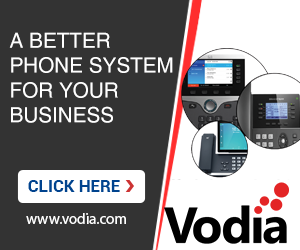 But of course, it is a setting within Vodia PBX. I will be very very glad to see your answers guys. I think I've managed to do it. Went to the Hunt groups and then in the Behaviour section I've chosen different melody for each company and then for the from-header I've set it Group Name (Calling number) and of course the name of the group is the name of the company. Caller-ID has two directions, inbound and outbound. In the PBX the term "DID" is used for inbound and "ANI" for outbound. I assume we are talking about inbound here. The easiest is in a call center environment to use the ACD. In the ACD there is a special tab for representing the caller-ID ("Numbers"). There you can define what numbers the ACD serves, and even upload WAV files that are played back to the agent when the call connects, so that they don't even need a display to know how they should answer the phone.